Carl Wittwer is a Professor of Pathology at the University of Utah Medical School and adjunct professor of BioMedical Engineering at the University of Utah. He received a Ph.D. from Utah State University, a M.D. from the University of Michigan. He has published more than 200 research articles and book chapters focusing on technique and instrument development in molecular diagnostics. In the early 1990s he developed rapid-cycle PCR techniques for DNA amplification in 10-15 min. In the mid-1990s, he adapted flow cytometry optics to thermal cycling for real-time monitoring of PCR. He introduced SYBR Green I, fluorescent hybridization probes, melting analysis, and high-resolution melting (HRM) to real-time PCR, techniques that are widely used today. He has been on the Clinical Chemistry Board of Editors since 2000 and an Associate Editor since 2002. Recently, his research has modified the polymerase chain reaction (PCR) for efficient amplification in less than 1 minute, opening up new possibilities for immediate nucleic acid diagnostics. Academic recognition includes the AACC award for Outstanding Contributions to Clinical Chemistry in 2004, the IFCC Award for Significant Contributions to Molecular Diagnostics in 2005, the AMP Award for Excellence in Molecular Diagnostics in 2008, the University of Utah Award for Impact and Innovation in 2011, the AACC Edwin F. Ullman Award in 2013. 1) New Technologies and the Future of Molecular Diagnostics. 2) Extreme PCR and High Speed Melting. Dr. Jan M. Ruijter trained as a medical biologist and worked in endocrinology, neurobiology, ophthalmology and embryology. 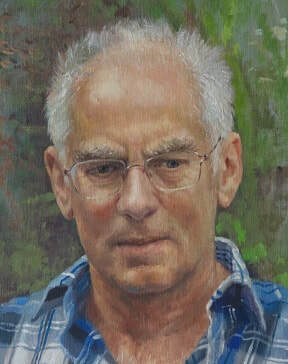 He recently retired from his position as principle investigator in the department of Medical Biology (Academic Medical Center, Amsterdam, the Netherlands) where he was heading a research group studying the relation between gene expression and the development of the heart with molecular, image analysis and 3D-reconstruction techniques. Jan is still involved in advanced qPCR courses and currently working on papers on PCR artefacts and data analysis. Life Science Center Weihenstephan, Technical University, Munich, Germany. ​Michael W. Pfaffl started 1986 to study ‘Agriculture - Animal Science’ and ‘Biotechnology’ at the Technical University of Munich (TUM). In 1997 he obtained his PhD in ‘Molecular Physiology’ in the field of molecular muscle and growth physiology at the Chair of Physiology. In Early 2010 he became Professor of ‘Molecular Physiology’ at the TUM School of Life Sciences. Today he has reached the ‘Principal Investigator’ status at the Institute of Animal Physiology & Immunology and is one of the leading scientists in the field of Gene Quantification, RT-qPCR technology. 1) MIQE challenges and solutions - The use of efficiency corrected relative quantification models (REST) for transcriptional biomarker discovery. 2) Exosomal biomarkers in clinical diagnostics – How to optimize micro-vesicle purification and microRNA sequencing in sepsis patients. Real time qPCR plays an important role in the qualitative and quantitative assessment of DNA extracted from formalin-fixed paraffin embedded (FFPE) tissue and plasma. Strong interest in the application of circulating tumour DNA and massively parallel sequencing technology in clinical diagnosis. Explore the potential diagnostic role of cfDNA for cancer patients. Leads the Translational Genomics and Epigenomics Laboratory at the Olivia Newton-John Cancer Centre in Melbourne. In his previous lab, he developed high resolution melting assays for DNA methylation and for the detection of KRAS, BRAF and TP53 mutations that entered routine diagnostics. His current lab continues the focus on personalized medicine including developing clinically relevant innovative diagnostic methodologies. His lab has recently been accredited for DNA methylation assays (BRCA1, MLH1 and MGMT) and liquid biopsy assays for BRAF and EGFR mutations using droplet digital PCR. His major research interests are in the emerging fields including circulating tumour DNA, and constitutional BRCA1 methylation in breast and ovarian cancer predisposition. He is a chief investigator of several consortia funded by the Victorian Cancer Agency, Cancer Australia and the Australian National Breast Cancer Foundation Collaborative Research Program. Shauna Murray is an Associate Professor and core member of Climate Change Cluster (C3) at the University of Technology Sydney, where she leads the Seafood Safety: Marine Algal Biotoxins research program. She researches the evolution and molecular ecology of marine microbial eukaryotes and the toxins that are produced by some species. Marine biotoxins produced by dinoflagellates, a group of marine microalgae, are amongst the most toxic substances yet recorded and can have severe detrimental impacts on a diverse range of organisms and marine ecosystems. The Seafood Safety team is developing novel genetic tools, particularly using technologies such as qPCR, for the monitoring of marine waters, based on the unique genetic processes of marine microalgae. This work is being conducted in collaboration with the fishing and aquaculture industries, government departments, and food safety regulators. Rapid qPCR assays for on-site harmful algal detection in the aquaculture industry. ​Ben Lundie is currently appointed as the Principal Scientist for Genome.One, Australia’s only medically accredited whole genome sequencing laboratory where he manages the research, development, laboratory and interpretation operations. Ben holds a Bachelor of Applied Science in Biotechnology and Biomolecular Sciences and a Master of Science in Genetic Counselling. Prior to his appointment at Genome.One, Ben worked for 12 years with Sullivan Nicolaides Pathology in cytogenetics and molecular cytogenetics, validating microarrays as well as many automated solutions to improved speed and efficiency. Ben was also the scientist in charge for the setup and implementation of one of the country’s first non-invasive prenatal testing facilities. Clinical Validation of CNV Analysis of All Size Ranges From Whole Genome Sequencing Data Provides Unprecedented Resolution and Sensitivity. Dr Jenny Lee is a Medical Oncologist, currently doing a PhD in melanoma with the Precision Cancer Therapy Group at Macquarie University, focusing on circulating biomarkers. She also has an appointment as a senior lecturer at Macquarie University where she is part of the faculty of Medicine and Health Sciences. Her work on ctDNA in melanoma has been published in Annals of oncology and JAMA oncology. Clinical application of circulating tumour DNA in melanoma: from digital droplet PCR to next generation sequencing and beyond. ​Dr Pei Ding completed her medical degree with first class honours at the University of Cambridge in 2008. She undertook specialist training in Medical Oncology at Liverpool Hospital and was awarded her Fellowship with the Royal Australasian College of Physician in 2016. She is currently a PhD candidate at Western Sydney University and a locum medical oncology staff specialist at Liverpool Cancer Therapy Centre. Her research which is based at the Ingham Institute Center for Circulating Tumour Cell Diagnostic and Research (CCDR) is to investigate the utility of blood-based testing in the diagnosis and treatment monitoring of advanced EGFR-mutated lung cancer. ​She is a recipient of Australian Postgraduate Award and CONCERT top-up scholarship. Her work has also received support and recognition from the Australian Lung Foundation and was awarded the Lung Foundation’s 2016 Grant-in-aid for lung cancer research. Blood-based testing in monitoring for treatment response and outcome for patients with advanced EGFR-mutated lung cancer. Dr Meehan holds a BSc (Hons), PhD and a Graduate Certificate in Applied Epidemiology and Biostatistics. She is the Head of Division of Cancer Biology at the University of Western Australia and has a keen interest in translational research. Genomic profiling of carcinomas of unknown primary. The potential of exosomes cancer research. Research Officer, Animal Health, NSW Department of Industry, Elizabeth Macarthur Agricultural Institute. Ian is an animal health research officer focusing on microbiological diseases in production animals. He specialises in molecular biology-based research and the development of improved diagnostic tests of pathogens that affect terrestrial and aquatic species. Ian is currently collaborating with the University of Sydney to investigate improved and enhanced direct diagnosis tests of pathogens that affect terrestrial and aquatic species and the University of the Sunshine Coast focusing on Chlamydiosis in production animals. The majority of Ian's research has focused on Johne’s disease but other areas his has been active in include; viral diseases of finfish, parasitic diseases of oysters and epidemiological modelling on the effects of exotic disease outbreaks which has resulted in many peer-reviewed journal articles in journals such as Molecular and Cellular Probes, Journal of Clinical Microbiology and the Journal of Bacteriology. 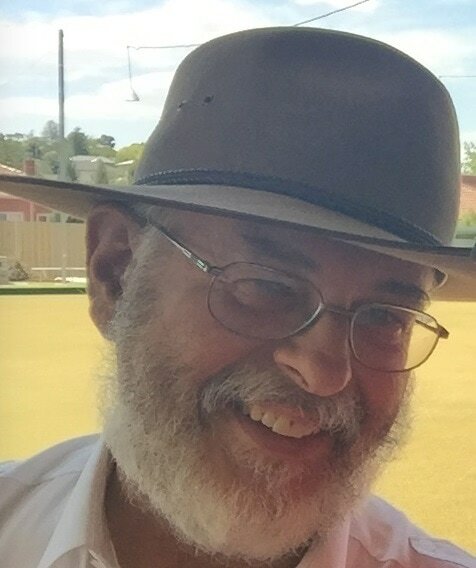 Ian has worked closely with colleagues on the development of the Australian and New Zealand Standard Diagnostic Procedures for Johnes Disease and has made significant contributions to the World Organisation of Animal Health (OIE) chapters on Johne’s disease and Epizootic haematopoietic necrosis virus. Molecular diagnostics from the veterinary laboratory perspective, to sequence or not to sequence. Katie started her career in the laboratory in 2006, when she undertook a 3 year full time traineeship with the Cytogenetics Department of Westmead Children’s Hospital. After graduating with a Bachelor of Biomedical Science from the University of Technology, Sydney (UTS) in 2009, she spent over 4 years at the Westmead Institute for Medical Research as a Research Assistant for the Centre for Transplant and Renal Research. Here she worked on multiple concurrent projects, with her primary focus being on the International multi-centre Genomics of Chronic Allograft Rejection (GoCAR) study. To complement the findings of the GoCAR study, she simultaneously undertook a part time Masters of Philosophy in Medicine with the University of Sydney. Katie was also an active member of the clinical islet isolation team for the transplantation of beta cells as a treatment for type 1 diabetes. Following her move to the sunshine state, Katie worked as a Scientist for over 2 years in the Molecular Genetics Department and spent 1 year in a Stat laboratory for QML Pathology. Returning to Sydney in 2017, she is now working for the Biosecurity and Food Safety branch of the NSW Department of Primary Industries, overseeing the diagnostic genetic section of the State Veterinary Diagnostic Laboratories. 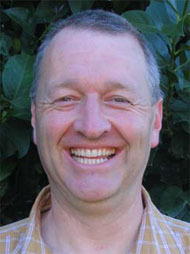 John is the technical director of New Zealand company, dnature diagnostics & research Ltd. The laboratory side of dnature (= DNA in a range of nature) develops molecular diagnostic assays mainly in the primary industry area. Since dnature started in 2010, John has developed a number of tests, such as the first test to differentiate strains of a devastating kiwifruit disease using high resolution melting analysis, before launching a duplex qPCR to detect the virulent strain of PsaV - a test that is still the industry standard in New Zealand, Chile and other countries. Since then he has developed tests for shellfish diseases and more recently, new tests to discover bee pathogens. The latest test is a triplex qPCR to specifically detect and differentiate the highly valuable manuka honey from other floral sources. Development of a dual target qPCR assay for American Foulbrood in bees, honey and hives. Although he sees himself as a technology evangelist, Brant’s career spans academic research, the biotech industry, and several years as a paleontologist hunting dinosaurs in the Australian outback. After 40 peer-review publications and two US Patents (for DNA silver staining and DNA fingerprinting) he left academia to introduce and evangelise real-time PCR technology in Australia and New Zealand for Applied Biosystems way back in 1997, a role he is reprising now with nanoString technology. While working at Corbett Research he helped pioneer and introduce HRM (high resolution melt) technology (an acronym you can blame on him!). Over the years Brant has had many roles including Senior Research Officer, Product Manager, Global Marketing Manager, and even Chief of Operations at Australian Age of Dinosaurs. Brant graduated with a PhD and First Class Honors from the Australian National University (Canberra) in 1988.